The only way to be sure your code is working properly is to test it. Test-driven development (TDD) techniques not only help ensure that your code is correct but also make it much easier to make changes in the future. The JUnit testing framework has been around for a generation and is accepted as the de facto standard for unit testing, but by itself it can only do so much. 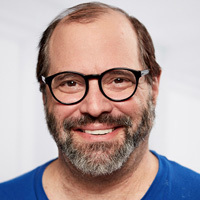 Join Ken Kousen for a dive into Java testing using Hamcrest matchers, which make it possible to write cleaner tests that are easier to understand and interpret, and the Mockito testing framework, which lets you create mock objects that isolate potential problems in your code. You'll learn to write fast, effective unit tests that also provide executable documentation for your system. You're a Java developer who wants to verify that your code is behaving properly. You want to create a powerful suite of tests that gives you the flexibility to make significant upgrades over time. If you modify the system and a test fails, you want to know exactly where and why. You want to make your tests more readable and easier to understand.